The National Endowment for the Arts (NEA) recently submitted its 2012 budget (“appropriations request”) to Congress. It’s no surprise that cuts will be made, but it is surprising (at least to some people) that the NEA has proposed eliminating its Jazz Masters program. Since 1982, 119 artists and groups have received Jazz Masters fellowships, the highest honor our nation bestows on jazz artists. Fellows are awarded grants (currently $25,000) and are invited to an annual awards ceremony and concert. 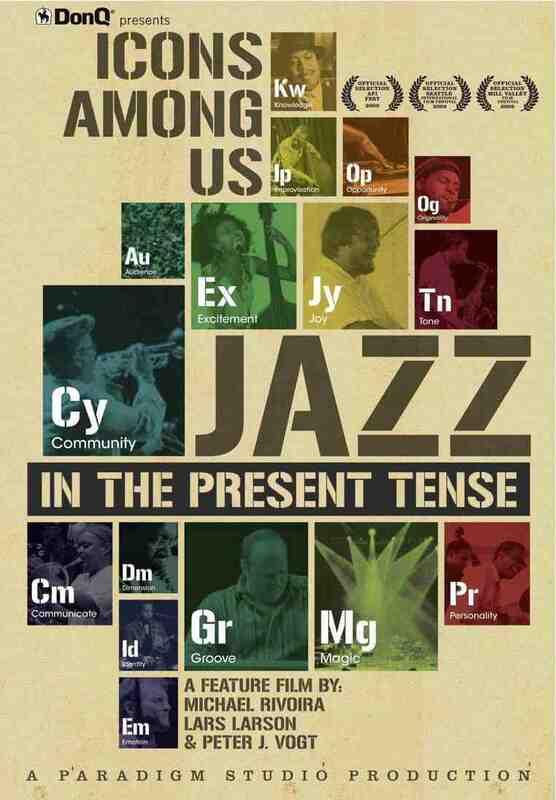 You can read an alphabetical list of NEA Jazz Masters here. Or, if you prefer, a year-by-year list. Click on any name to learn more about a musician and his or her accomplishments. Among jazz musicians and fans, being selected as a Jazz Master is a serious thing, our equivalent to being named a Living National Treasure in Japan. Once a Master, always a Master. Several Masters have come through the Twin Cities in recent months and years: Kenny Barron, Ramsey Lewis, Chick Corea, McCoy Tyner, Dave Brubeck, Ahmad Jamal, Roy Haynes. 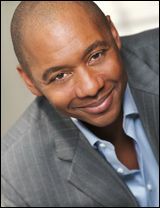 In 2011, in a rather controversial decision, the Marsalis family (father Ellis and sons Branford, Wynton, Delfeayo, and Jason) was collectively dubbed Jazz Master(s), and on Sunday, both Branford and Jason will perform in Minneapolis. The question some people are asking is: Does it matter if the Jazz Masters award goes away? I’d like to know what you think. If you care to comment, please do so below. Now that the Clown Lounge has closed and Café Maude is winding down its live music on the weekends (this is the last weekend you can see live jazz at Maude, and only on Friday), the Black Dog in St. Paul is the only place that regularly features improvised music. Hats off and thumbs up to owner Sara Remke for continuing to make space for the music, and to Nathan Hanson for programming (and playing) it. I can predict that this night will be unpredictable, with Zeitgeist’s Pat O’Keefe on clarinets, Viv Corringham on voice, Hanson on saxophone, and Brian Roessler on bass. 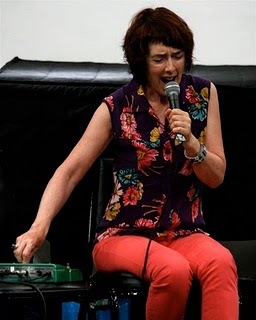 Corringham is a British vocalist and sound artist who treats her voice like a wind instrument. I promise you’ve never heard anything like it. 8-ish p.m. Friday, Feb. 25, Black Dog (corner of 4th and Broadway in St. Paul’s Lowertown). No cover, but show some love to the tip jar. 651-228-9274. When I wrote last week about the likely demise of the National Endowment for the Arts Jazz Masters program, I mentioned wanting to hear what Willard Jenkins had to say. 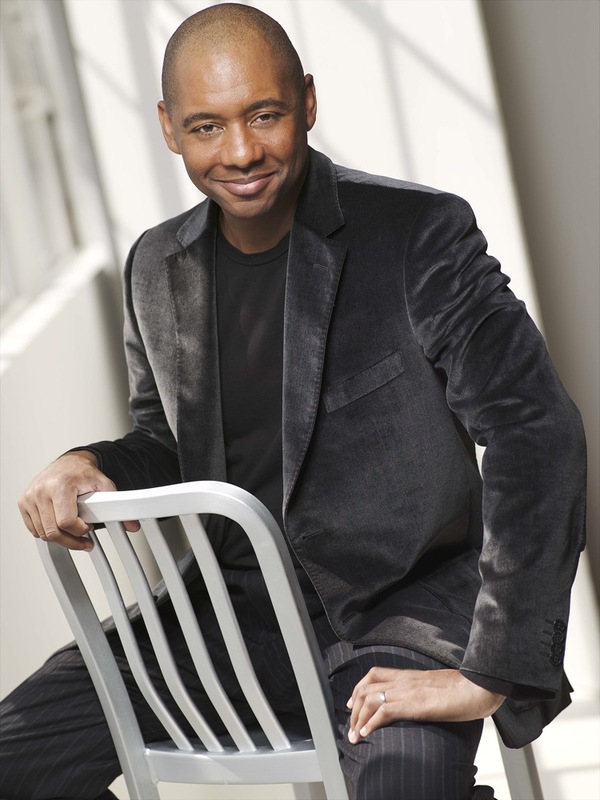 Jenkins is a journalist, arts consultant, presenter, and coordinator of the NEA Jazz Masters Live program, which each year sends Jazz Masters to perform and teach in communities across the nation. 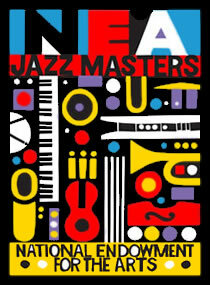 NEA Jazz Masters ""Live" supports NEAJM performances at select sites around the country. And lest anyone get the false impression that those NEAJM "Live" performances only occur in major metropolitan areas, I am on my way to Moscow, Idaho to conduct a site visit on one such funded NEA Jazz Master residency with the great Jimmy Heath. I doubt Jimmy Heath would be performing and educating in Moscow, Idaho were it not for the NEAJM "Live" grant. 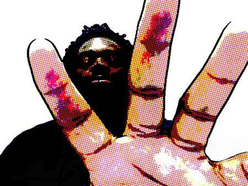 And let's not overlook the jazz audience development potential of such funded engagements. Forthcoming NEA Jazz Masters "Live" supported performances are scheduled throughout this year in such places as Albuquerque, New Mexico; Ann Arbor, Michigan; Hartford, Connecticut; and sites across the country. Jason Rabin has interviewed Ethan Iverson about this mighty project. Read here. Are you in your car or near a radio at 8:30 CST on Friday mornings? Tune to KBEM to hear me and Mr. Jones—Jazz 88 "Morning Show" host Ed Jones—talk about these events and more. 88.5 FM in the Twin Cities, streaming live on the Web. Note: This Friday (Feb. 18), the lovely Maryann Sullivan, host of KBEM’s “Corner Jazz,” will sit in for Ed. It’s not a big week in terms of national jazz acts coming through (with one exception), but it’s a good week in terms of area artists (and an expat) offering variety and excellence—in other words, business as usual for our jazz-rich towns. Think of this as a good time to explore some venues that may be new to you and won’t cost you a bundle. What was once called the “Fantastic Fridays” music series at the Black Dog is now “Community Pool: Deep End” to distinguish it from Fantastic Merlins, the jazz group. 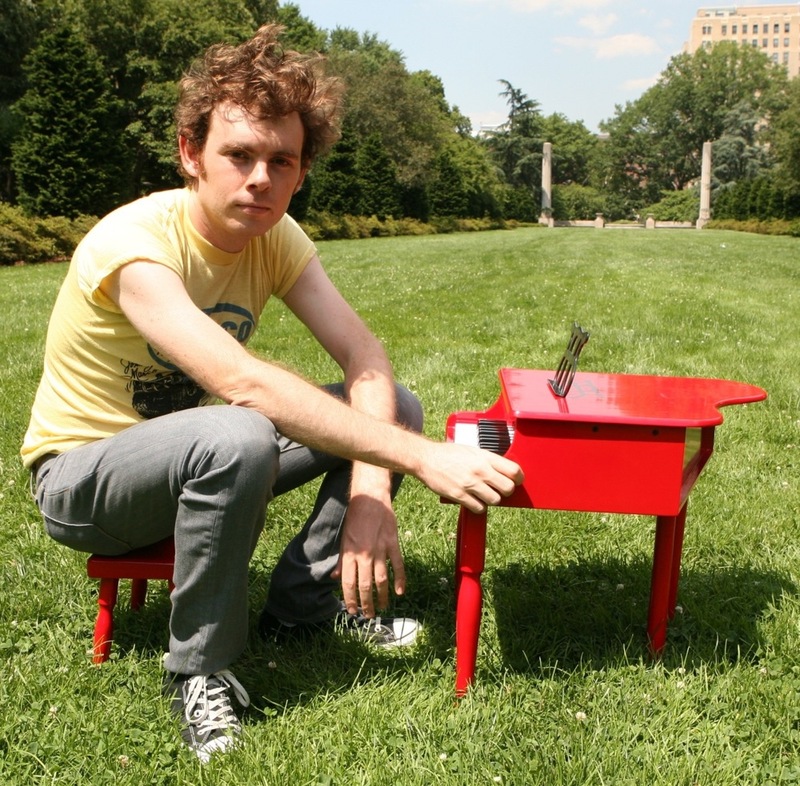 But it’s still curated by the wide-eared Nathan Hanson and features some of the cities’ most interesting musicians. Tonight, the core duo of Hanson on saxophones and Roessler on acoustic bass will be joined by two friends: the mighty Eric Fratzke on electric guitar and bass, and emcee/beatboxer/hip-hop artist/rapper Carnage the Executioner. Carnage’s solo debut CD, Worth the Wait, is just out (he celebrated with a release party last night at the Cabooze). Listen here. 8-ish p.m. Friday, Feb. 18, Black Dog (corner of 4th and Broadway in St. Paul's Lowertown). No cover, but honor the tip jar. 651-228-9274. I didn't anticipate that Kurt Elling and his quartet would perform essentially the same sets on the second night of their Dakota stay as on their first. But they probably didn't anticipate that some people would attend all four sets. Elling gave me the heads-up about the setlists before the night began, when he passed by my table after greeting his former classmates from Gustavus Adolphus, whom I happened to sit down beside. "We'll play different notes, but not that different sets," he said. "Hope that's okay with you." Of course it was. It's jazz, so even identical sets are never the same. "Steppin' Out." Elling tells the crowd that the title of his new CD, The Gate, is a reference to "swings like a gate." (Is he quoting "Papa Loves Mambo"?) Partway through his piano solo, Hobgood quotes "More" ("More than the greatest love the world has known/This is the love I give to you alone"). At least, I think he does. I'm very surprised. Orchestra Hall in Minneapolis has featured jazz as part of its regular annual programming since 2007–08, soon after Lilly Schwartz became director of Pops and Special Projects in 2006. Schwartz, who came to the Minnesota Orchestra after a tenure at the Kimmel Center for the Performing Arts in Philadelphia, believes that jazz belongs at Orchestra Hall. Her debut jazz series in 2007–08 featured a tribute to Louis Armstrong with Delfeayo Marsalis, an all-star program hosted by trumpeter Sean Jones, and a "Jazz at the Movies" event featuring the Terence Blanchard Quintet. In 2008, New Orleans trumpeter Irvin Mayfield was named artistic director of jazz at Orchestra Hall. At the time, Schwartz told me, "We have an artistic director for Sommerfest, Andrew Litton, and Osmo Vänskä for the orchestra," Schwartz says. "I thought it was important to have an artistic director for jazz." That year, the series grew from three concerts to five. 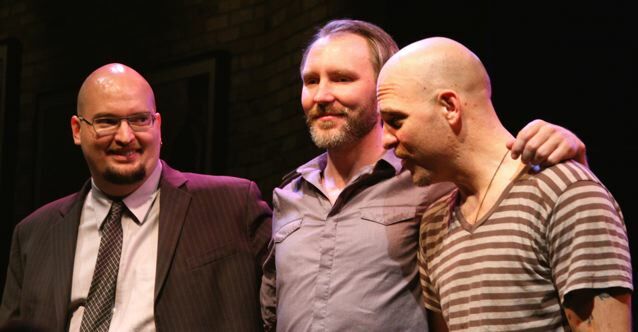 Now a frequent visitor to the Twin Cities and a popular presence at Orchestra Hall, both onstage (performing and encouraging people to subscribe to the series) and in the lobby (greeting fans), Mayfield has remained artistic director of jazz and will continue in that post for the 2011–12 season. Fiscal realities have brought the number of concerts in the jazz series back down to three, but if you browse the Orchestra's coming pops season, you'll find a number of events that walk like jazz, talk like jazz, and swing like jazz: Chris Botti, the Preservation Hall Jazz Band, the New Orleans Jazz Orchestra, Doc Severinsen, Big Bad Voodoo Daddy. The 2011–12 jazz series was announced today. All concerts will take place in Orchestra Hall, which will close soon after for a $43 million renovation. Sunday, October 2, 2011, 7 p.m.
Saturday, February 18, 2012, 8 p.m.
Wright and Elling will each perform separately, then come together as a duo to celebrate the romance of the season. Friday, April 6, 20912, 8 p.m. This concert will celebrate the release of Mayfield's new book and CD, A Love Letter to New Orleans, for which O'Brien wrote the foreword. I've heard hints that special guest artists may appear. This is an exceptional weekend for jazz in the Twin Cities. 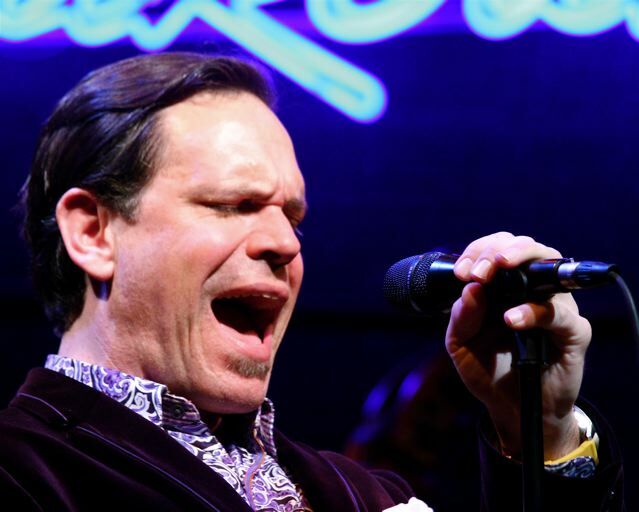 Next week, the great vocalist Kurt Elling comes to town for two nights. Later this month, Branford Marsalis and Terence Blanchard bring their quintets to Orchestra Hall. Meanwhile, I’m keeping a gimlet eye on a local venue that has presented live jazz regularly but is now “making changes.” You'll know more when I do. When asked to name the three greatest living jazz guitarists, most jazz fans will say Pat Metheny, Bill Frisell, and John Scofield. 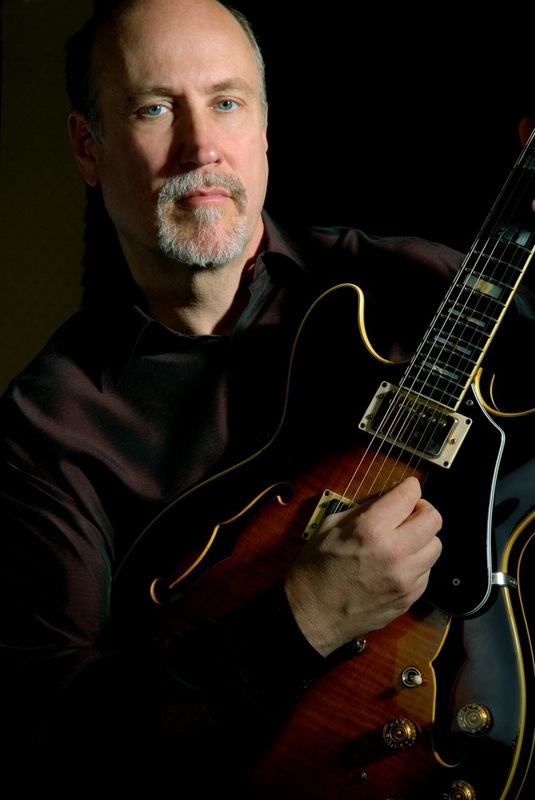 Diverse, eclectic, and innovative, Scofield’s music ranges from post-bop to R&B and funk-edged jazz. His resume includes stints and recordings with Gerry Mulligan and Chet Baker, Charles Mingus, Gary Burton, Miles Davis, Charlie Haden, Brad Mehldau, Herbie Hancock, Dave Holland, and many more. 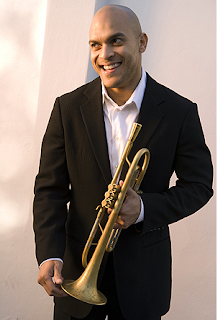 In January, he toured with Joe Lovano; he brings his own trio to the Dakota for one night only. 7 and 9 p.m. Friday, Feb. 4, Dakota ($40/$30). 612-332-5299.